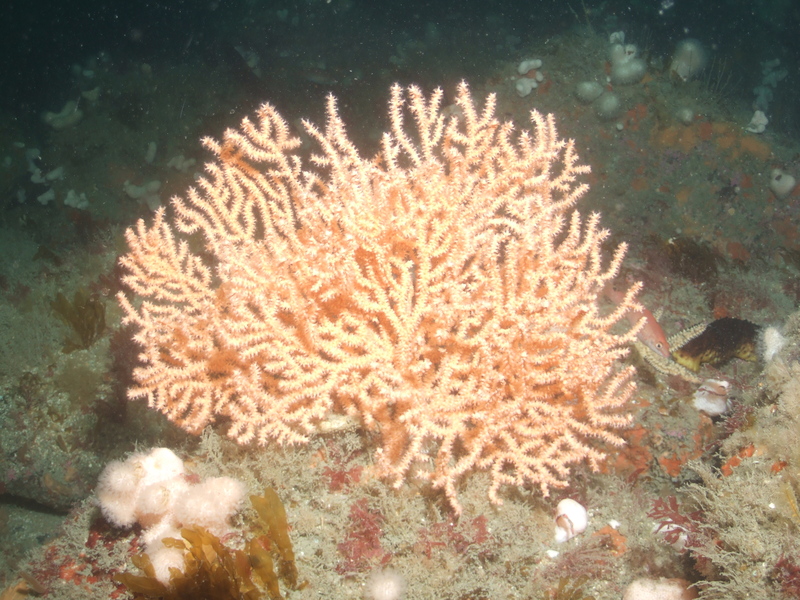 Pink Sea Fans are a rare species of hard coral, although there are areas around Falmouth where they are prolific. Sites such as the Manacles, Outer Bizzies and even wrecks like the Volnay. The local Pink Sea Fans are also home to the sea fan anemones and the sea fan nudibranch. Pink Sea Fan sites are mainly only accessible by boat, they are usually in deeper water, deeper than 18m. They have been seen on wrecks as deep as 70m.